The Democratic Town Committee will meet Thursday, March 26th at New Britain City Hall, Room 504 starting at 7 p.m. On the agenda will be a municipal campaign update, a discussion of state legislation impacting the city and Justice of the Peace nominations. All Democrats are welcome. 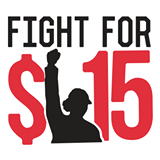 Save the Date: 4/15 Day of Action in the Fight for 15! More than two years ago, fast food workers launched the first strike for a $15 minimum wage. Now, over 190 cities are holding protests across the country on Wednesday, April 15th, and more types of service employees are joining in. Walmart and other companies have recently relented on a $10 per hour minimum as income inequality continues to grow. They will soon find, however, that the hike to $10 will not be enough for a fair wage in today’s economy. The Greater Hartford rally will be held at the State Capitol at 4 p.m. on Wednesday April 15th. The push for living wages has expanded to part-time faculty at colleges and universities as well as workers in fast food, retail, home care, retail and convenience sectors of the economy. The Queen Ann Nzinga Center, Inc. will host its 6th Annual Connie Wilson Collins Exceptional Women Concert honoring outstanding women from the Greater Bristol, Plainville and New Britain community on Saturday March 21. The celebration will honor nine women from the area including Ward 3 Alderwoman and DTC Vice Chair Shirley Black and State Rep. Betty Boukus of the 22nd Assembly District that includes the DiLoreto School district. Pamela Bianca and CCSU Professor Evelyn Newman Phillips from New Britain are also be honored. The event was renamed last year in honor of Constance “Connie” Renee Wilson Collins who died in 1913. 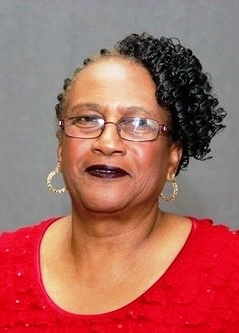 Connie, a longtime member of the DTC and former alderwoman, worked to help people reach their full potential through her work in politics, the labor movement and nonprofit organizations. The public is invited to attend the concert and celebration, scheduled from 4 to 6 p.m. at Raymond Hill School, 370 Linwood St., New Britain. Tickets are $20 for adults, $15 for students and seniors. To purchase tickets, visit http://qanc.org or call (860)229-8389. All proceeds help fund programming for the QANC, a nonprofit which emphasizes artistic expression and teamwork to build program participants’ skills and self-esteem. The New Britain area League of Women Voters will host an issues forum on Monday, March 23rd on “Issues of Incarceration” beginning at 7 p.m. at Trinity On Main, 69 Main Street. CT ACLU Attorney David McGuire and representatives of the Malta Justice Initiative will be on the discussion panel. The public is invited to attend. Led by Police Chief James Wardwell friends and colleagues of NBPD Executive Assistant Kristen Perugini are organizing a benefit as Kristen undergoes treatment for a serious illness. The benefit to include food, music and a raffle will be held on Sunday March 29th from 1 to 5 pm at the Bianca Ballroom of Generale Ameglio Society on Beaver Street. The donation is $20. For tickets and more information call 860-826-3112. “This week we learned that more than 16 million Americans now have health coverage thanks to the Affordable Care Act. We learned that the number of uninsured has plummeted faster than at any time in the last 40 years. And we learned that the House Republican budget unveiled today repeals the law and takes insurance away from more than 16 million Americans. This entry was posted in Chris Murphy, Health Care, Meeting/Event, Minimum and Living Wages. Bookmark the permalink.